Pistol caliber carbines provide the stability of a rifle with the economy of a pistol. They are great for short distances and are allowed at most indoor ranges. For most people there are pistols and rifles. In my world there are pistols, carbines and rifles – where a carbine is a short rifle. One reason that we like carbines is because of their smaller caliber you can normally shoot them at both the indoor and outdoor range. When the weather is bad during a New England winter this makes a difference. In addition, since we like to target shoot we are normally looking for accuracy – and not necessarily distance. Consequently, we have more carbines than rifles. The criteria that we use to evaluate small caliber carbines are: 1) caliber, 2) accuracy, 3) reliability, 4) fun factor and 5) price. This .22 LR caliber blowback gun (not roller lock like the real HK94) measures 33.8" with the fixed A2 stock (between 26.8" and 33.8" if you use the collapsible A3 stock), and weighs 5.9 lbs. The barrel has 6 grooves and a 1 in 13 3/4" twist. The front sight is an interchangeable post and the rear sight is a diopter drum sight. Magazines come in both 10 and 25 round variants. We purchased the Walther H&K MP5 A5 .22 Caliber Rimfire carbine because it is a .22 caliber clone of the HK94/MP5 made by Walther Arms under license from HK. There are other similar guns out there that were not made under license to HK and, in our opinion, this firearm is a much higher quality firearm. The MP5 A5 is really fun to shoot since it has the classic HK94 configuration, and it’s cheap to take to the range for the entire day since it is shoots .22 caliber rounds. You might be able to buy this carbine at your local FFL dealer, but more likely you will need to go to waltherarms.com to find a dealer near you. If you would like to see a detailed YouTube review of the Walther H&K MP5 A5 22 Rimfire Carbine - Rough Gear Review has a good one here. Since we like 9mm firearms one of the essential additions to our collection was a folding stock Uzi. The criteria that we use to evaluate folding stock pistol caliber carbines are: 1) caliber, 2) accuracy, 3) reliability, 4) fun factor and 5) price. The Uzi is an open-bolt blowback 9x19mm Parabellum firearm that is 31" in length with the stock open (24.5" with the stock collapsed) and weighs approximately 8 lbs. Uzi 9mm magazines come in 20, 25, 32, 40 and 50 round variants. If we are being honest here, we purchased an Uzi solely for fun at the range and love shooting it. The most remarkable thing about the Uzi is how accurate it is with iron sights. Since you will probably not be able to buy this carbine at your local FFL dealer, you will probably need to go to gunbroker.com to find a previously owned one that someone else is selling. If you would like to see a detailed YouTube review of the IMI Model "B" Uzi - Military Arms Channel has a good one here. 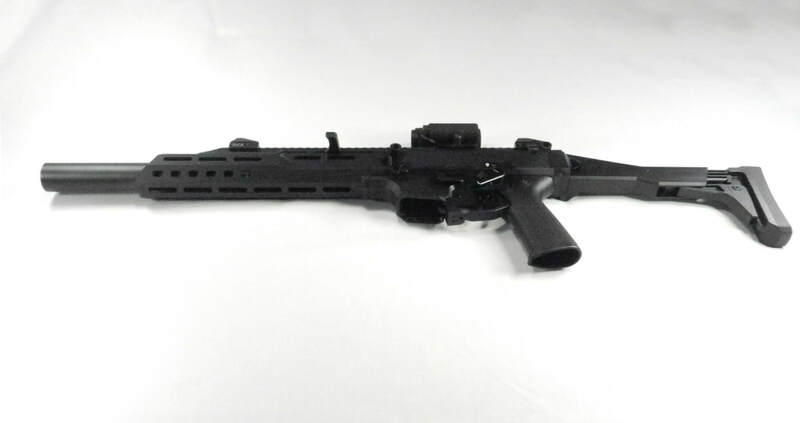 Another fun class of gun that we like is the short range pistol caliber carbine. The criteria that we use to evaluate short range pistol caliber carbines are: 1) caliber, 2) accuracy, 3) reliability, 4) fun factor and 5) price. To fill this niche we purchased a 9mm Hi-Point 995TS carbine. The 995TS has an all-weather black molded polymer skeletonized stock, measures 31" in length (with a 16.5" barrel) and weighs 6.25 lbs. The stock has an internal recoil buffer and weaver style rails. The standard magazines are 10 rounds (Hi-Point just started selling a 20 round magazine) and the gun can support +P ammo. Although this is a very inexpensive carbine costing less than $300, it is a fun and accurate gun. We always enjoy having it with us at the range and it normally works without giving us any problems. You should be able to buy this carbine at your local FFL dealer, or you can go to hi-pointfirearms.com to find a dealer near you. If you would like to see a detailed YouTube review of the Hi-Point 995TS - Buffalo's Outdoors has a good one here. 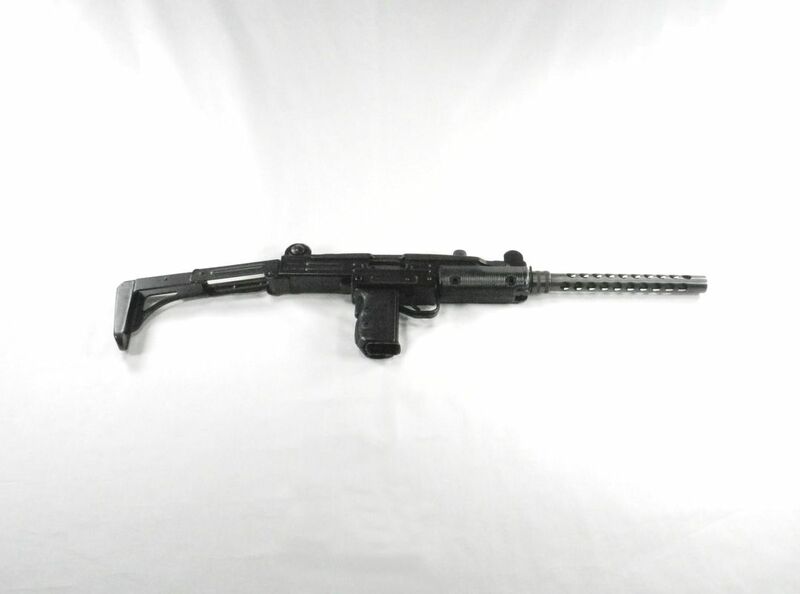 Another carbine that we have in our collection is a clone of the classic roller lock HK94/MP5. Although we looked at buying an original Heckler & Koch HK94, since only 15,000 were ever imported into the United States purchasing one of these firearms on the secondary market costs approximately $6,000 these days; too much for a range toy. So instead we looked for an HK94 clone. The only problem with that is that the quality of these clones can vary widely from manufacturer to manufacturer and even gun to gun. The criteria that we use to evaluate pistol caliber carbines are: 1) caliber, 2) accuracy, 3) reliability, 4) fun factor and 5) price. After looking around quite a bit we purchased a Coharie Arms CA94; a direct clone of the HK94. 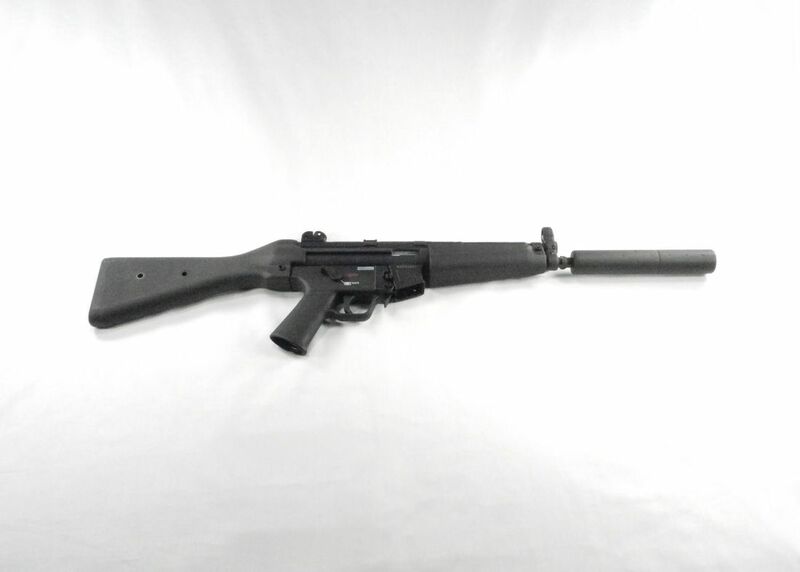 The HK94 is the civilian 9x19mm Parabellum semi-automatic version of the HK MP5 military fully-automatic rifle. The HK94 measures 34.59" with the fixed A2 stock (between 27.58" and 34.05" with the collapsible A3 stock) in length, 8.26" in height, 1.96" in width and weighs 6.43 lbs with the A2 stock (7.18 lbs with the A3 stock). The sight radius 13.39" inches. Magazines come in 10, 15, 20, 30 and 40 round variants since it is an HK94/MP5 clone. As with our other carbines, this is a fun gun to shoot and the roller lock design makes it feel different than all of our other firearms. 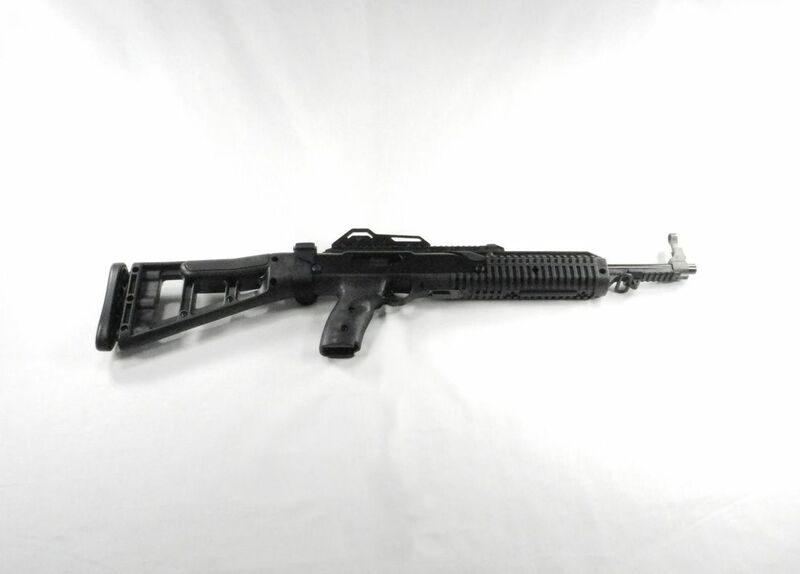 Since you will not be able to buy this carbine at your local FFL dealer, you will probably need to go to gunbroker.com to find a previously owned CA94 that someone else is selling, or another type of HK94 clone. If you would like to see a detailed YouTube review of the Coharie Arms CA94 (a clone of the HK94) - Atlantic Firearms has a good one of their AA 94A3 (another HK94 clone) here. One of the more recent additions to our carbine collection is a 9mm Kriss Vector. The criteria that we use to evaluate pistol caliber carbines are: 1) caliber, 2) accuracy, 3) reliability, 4) fun factor and 5) price. The 9mm variant of the Kriss Vector has a 16” barrel with a Right Hand 1:10” twist, measures between 35.25” and 38.5” in length (depending on the stack setting), is 6.8” in height and weighs 8.3 lbs. Since it uses standard Glock 17 magazines the magazines come in 10, 17 and 33 round variants. The Vector has the patented Kriss Super V Recoil Mitigation System that revectors the muzzle energy down and away from your shoulder to dramatically reduce the felt recoil and muzzle climb. The Gen 2 Vectors are capable of easily changing calibers since their 4-pin tool-less disassembly lets you change between lower receivers of different calibers (e.g. from 9mm to 10mm or 45 ACP) in a matter of seconds if you have another caliber lower. The Vector also has a 13” MIL-STD 1913 Picatinny top rail, a 3” Picatinny bottom rail an ambidextrous short throw safety lever, low profile folding sights and a Kriss M4 stock adaptor with a DEFIANCE® M4 Stock. Because of the unique recoil system the Vector feels a little different when you shoot it, and if you put a lot of rounds downrange in a hurry, it is easier to keep your sights centered. You can buy this carbine at kriss-usa.com or your local FFL dealer. If you would like to see a detailed YouTube review of the Kriss Vector - American Rifleman has a good one here. The newest carbine that we have in our collection is a 9mm CZ Scorpion EVO 3 S1. The criteria that we use to evaluate pistol caliber carbines are: 1) caliber, 2) accuracy, 3) reliability, 4) fun factor and 5) price. Built on the submachinegun platform that first hit the US civilian market in pistol form in 2015, the Scorpion Carbine has a 16.2″ barrel fitted with either a compensating muzzle brake or a faux suppressor built specifically for CZ-USA by SilencerCo. The carbine comes with an adjustable folding stock, has numerous M-LOK attachment points and is easy to convert into an SBR for use with a suppressor at a later date if desired. The carbine comes with low-profile aluminum adjustable sights and a top Picatinny rail that allows the mounting of a wide number of optics. The Scorpion also has ambidextrous controls and a swappable non-reciprocating charging handle. The Scorpion has a 16.2” barrel with a Right Hand 1:10” twist, measures between 24.5” and 34.75” in length (depending on the folding stock settings), is 9.4” in height and weighs 7 lbs. The carbine uses unique CZ magazines that come in 10, 20 and 30 round variants. In addition to the fact that we are suckers for a good 9mm carbine, one of the major reasons that we purchased the Scorpion was that it is so easy to customize with aftermarket items that are available from several manufacturers at reasonable prices. On our Scorpion we changed out the charging handle, the trigger and trigger springs, the left and right side safety selector levers, the pistol grip and added Quick Disconnect (QD) sling points. You can see photos of these modifications in this blog post. The details of these aftermarket parts can be found on the “Shrouds and Accessories” page. You can buy the Scorpion Carbine at cz-usa.com or your local FFL dealer. If you would like to see a detailed YouTube review of the CZ Scorpion EVO 3 S1 Carbine - sootch00 has a good one here. During the 1980’s Colt realized that their AR-15 platform was great for many applications, but, because of the velocity and penetration capabilities of the 5.56mm rounds (.223 caliber), they found that they really did not have a firearm that fit the Law Enforcement needs. Although the rifles/carbines of choice in the United States were the Colt M16/AR-15 series, Colt was starting to lose sales to the IMI Uzi and the H&K MP5. Consequently, Colt realized that they needed a carbine that could be used in urban environments. The result was a 9mm variant based on the M16/AR-15 carbines. This decision proved to be a good one since it met the urban environment needs and because many law enforcement personnel were armed forces veterans that had already trained with the M16/AR-15. In 1985 Colt introduced the R6450 and produced it until 1989. 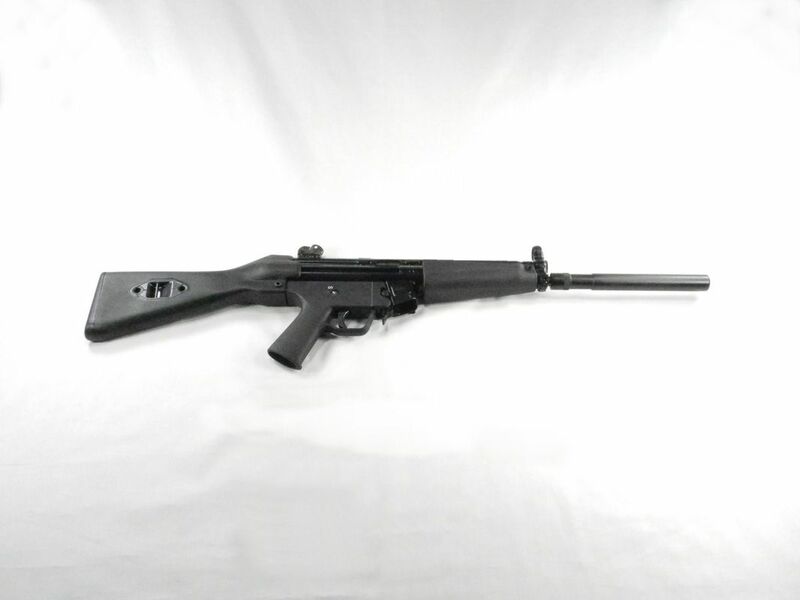 The Colt Sporter Lightweight R6430 replaced the R6450 in 1992 and was produced until 1994. The R6430 has the following characteristics: 16" barrel with 1 in 10 twist, A1 flash hider, fixed carry handle, Colt raised front sight and a Colt flip-up rear sight, short ribbed cylindrical hand guard, case deflector, and a hinged ejection port cover. There is no forward-assist or bayonet lug. You will probably need to go to gunbroker.com to find a previously owned 9mm R6430 AR-15 that someone else is selling. If you would like to see a detailed YouTube review of the Colt R6430 Sporter lightweight – Hickok45 has one on the AR6450 here.